The recently upgraded Citroen Berlingo is a marked improvement over its predecessor. If you are familiar with Citroen ZX/Peugeot 306, you can easily relate to this latest offering from Citroën of France. Berlingo is known for its comfort ride, which has been its hallmark for the past decade-and-a-half. 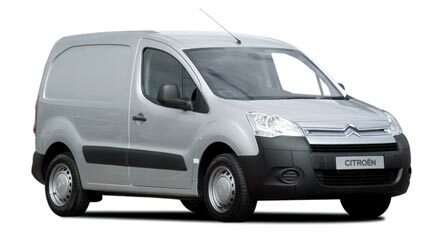 The latest Citroen Berlingo (Berlingo II) is available in different variants. It is based on PSA’s Platform 2, which makes it slightly larger than its previous versions. Different models of Berlingo II vary in terms of fuel used. One of the latest models of Berlingo II, Nemo, is developed in collaboration with Fiat (Fiat Grande Punto platform) and Tofaş. The engine displacement of 1560cc (diesel) and 1587cc (petrol) gives Berlingo the power to steer smoothly even in difficult terrain without exerting too much pressure on the engine parts. The engine itself has been upgraded to more economical “Stop and Start” technology, which ensures lower emissions and fuel consumption. One of the hallmarks of Citroen Berlingo has been its smooth ride. The latest Berlingo II has maintained the high comfort levels for the travellers. The shock absorbers are powerful enough to absorb even significant bumps on the road. Another striking aspect of the latest Berlingo is the huge luggage space, which can easily carry 675 litres in its fold. With a comfort ride for five, this van surely packs a punch on the utility parameter. Berlingo II comes with an “Extenso” option for the passenger seat, which opens a small desk for carrying long loads. Aesthetically, this stylish van is a blend of modernity with tradition. If you want a van that can provide a hassle-free travelling experience, rest assured, Citroen Berlingo won’t disappoint. Got a Citroën Berlingo to sell?